Note: Due to their handcrafted nature, stress ball sizes, colors and textures may vary. Factory cannot guarantee consistent imprints or PMS matches. Not intended as a child's or pet's toy. Shipping Weight: 250 per carton @ 29 lbs. Customized Airplane Stress Relievers Item #HT-4047 (Minimum Order: 100). 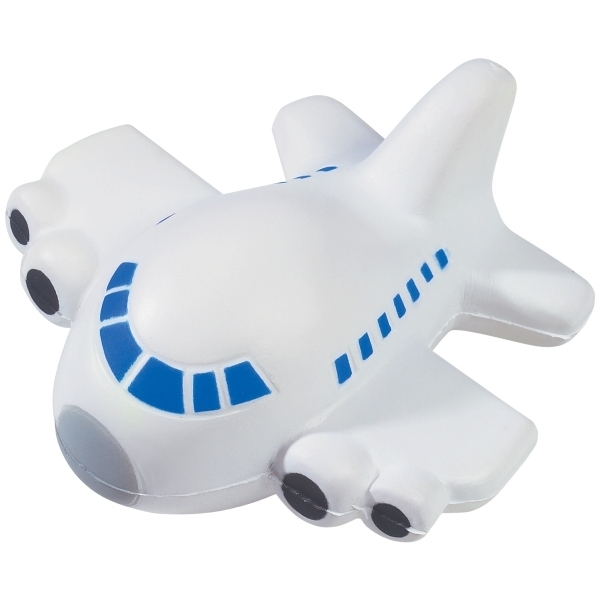 Promotional Stress Relievers like the Airplane Stress Relievers can be personalized with your business logo and with No Setup Fees. 1) Place Your Order Online! 2) Email Us Your Artwork (include your order number). 3) Approve Your Artwork Eproof - Eproofs are sent within 1-business day of your order being placed. See more on Submitting My Artwork. This item qualifies for a FREE RUSH SERVICE!! Orders can only be a 1-Color/1-Location artwork imprint only, view our 24 HR Rush Details. To active your rush service mention that you would like a "FREE 24 HOUR RUSH" in the special instructions of your order. 24 Hour Rush refers to the production time only, shipping will be 1-5 working days depending on the shipping address. Add to Cart To See Your Total. 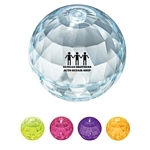 Customized Hi Bounce Diamond Ball (Item #HT-4052) is Promotional with a Free Artwork Imprint. Promotional Bouncing Balls like our Personalized Hi Bounce Diamond Ball are decorated with your logo with no setup fees. Customized Spinning Dragonfly Toy Helicopter (Item #HT-4054) is Promotional with a Free Artwork Imprint. 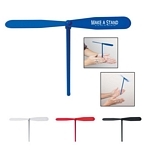 Promotional Helicopter Flyers like our Personalized Spinning Dragonfly Toy Helicopter are decorated with your logo with no setup fees. 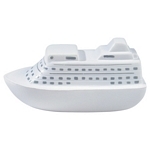 Customized Cruise Ship Stress Relievers Item #HT-4049 (Minimum Order: 100). Promotional Stress Relievers like the Cruise Ship Stress Relievers can be personalized with your business logo and with No Setup Fees.